Stem Cell Therapy for COPD-With the general perception, people suffering from COPD have reduced functional ability. These patients are prone to chronic asthma, with the often symptomatic observation of frequent wheezing, breathlessness, chest tightness and coughing in usual episodes. It has as well been evident that these people are often prone to other opportunistic infections, due to increased intake of anti inflammatory, steroidal medicines. 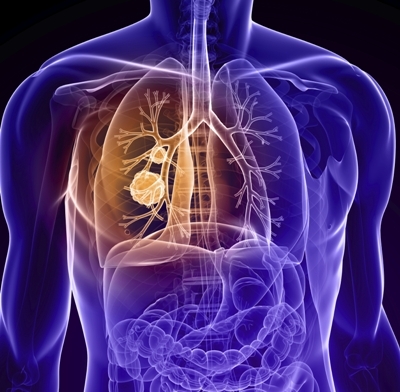 Chronic Obstructive Pulmonary disorder (COPD) also identified as the fourth leading cause of death, in many developed countries; and confirmed to be accounting for almost 0.1 billion lives each year. While this dangerous affliction is often associated with quite subtle episodes of chest congestions, and hence should never be ignored. It should as well be noted that the disease is typically progressive at its own pace and hence cannot be ignored for a longer period of time. Till date no conventional medicines are available with definite cure for COPD, but certain medications and accessories like inhalers are available, which doctors can prescribe to attain a symptomatic relief from the ailments with slight improvement in their functional ability. Recent development in an alternative medicine has certainly paved new avenues to treat degenerative diseases, such as COPD. Stem cells are the noble yet effective alternative that can now be implemented for therapeutic application with obvious safety as well as feasibility checks, through clinical studies worldwide. These smart cells have the ability to potentially form any cells of any origin in the body; provided they have been directed to the site of injury with proper environmental backups. This has been made possible through modern cell culture technology that has enabled isolation of stem cells through different abundant sources of our body, can be enriched outside through controlled cultural condition and infused back directly at the site of target. Once infused inside the body, they offer appropriate environment for themselves to multiply rapidly with differentiation into organ specific cells; thus helping to restore back the function. Although various safety as well as feasibility checks are confirming their potential; the scientific experts still understand that the viable therapeutic commercialization of stem cells needs to consider lot of factors, such as their clinical effective outcome. In this regard, it would be very essential to offer patient specific and very individualistic treatments; by analyzing reliable treatment metrics. Through the extensive clinical studies for stem cells therapy to COPD patients, the scientists have successfully overcome challenges, in close collaboration with the field experts, pulmonologists and equipped technological centers. Additionally, hundreds of clinical trials are currently undergoing as well as on the verge of completion and so far accomplished success in obtaining symptomatic relief and improving the prognosis of patients, who have been suffering from COPD. While it is quite true that research is still ongoing and lot of intriguing things are yet to be explained; but so far so good, autologous applications of stem cells isolated from fat and bone marrow of the patient, have been found to be very encouraging in relieving the symptoms associated with chronic COPD.